In 2010 Stephen Lucocq was selected by the RSPB to join a team of scientists to work on Gough Island (World Heritage Site) situated in the middle of the South Atlantic. His work on the island consisted of surveying steep sea cliffs for an introduced invasive plant called Sagina. 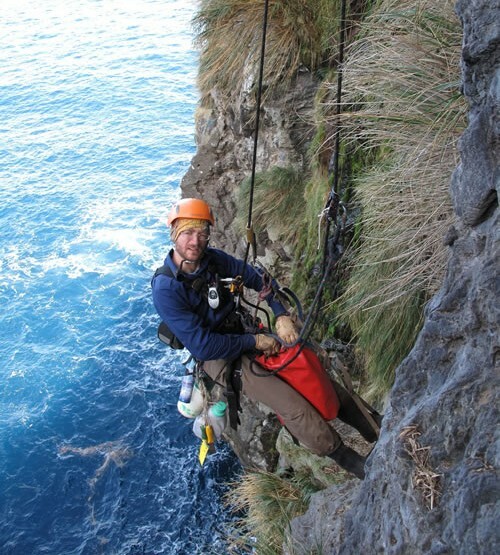 This consisted of working from rope and harness to safely gain access into these sea cliffs to allow recording and removal of this invasive plant. 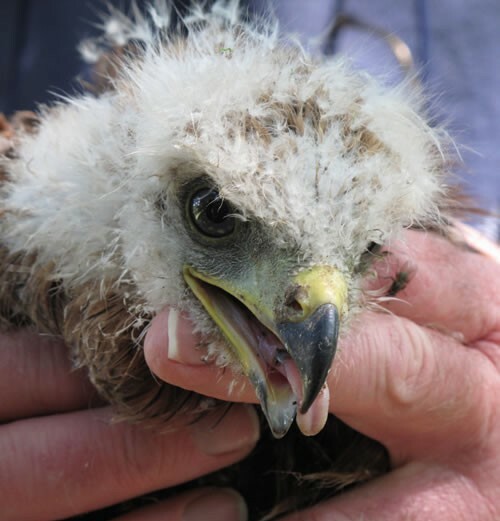 As an experienced tree surgeon and rope technician Stephen Lucocq has assisted the Welsh Kite Trust in gaining access to Red Kite nests situated high within trees. Stephen Lucocq was involved with a team from the RSPB to conserve the future of Asian Vultures. The Asian vulture is integral to the biosphere of Northern India and Nepal. The presence of carrion eating vultures allows the suppression of scavenging populations such as wild dogs and the disease threat they bring to human populations they come into contact with. Tragically Asia’s critically endangered vultures have declined by more than 99% since the 1990s from the use of a pharmaceutical drug called Diclofenac used on livestock. 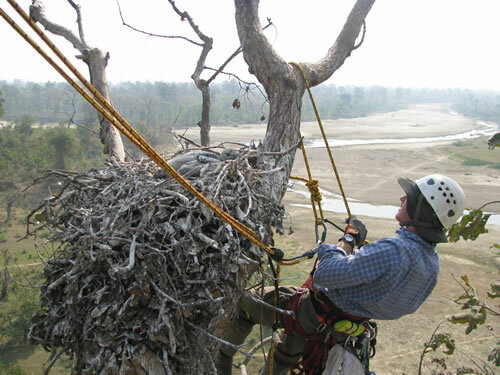 His role in the team is as a tree climber to gain access to the vultures’ nests situated high within the trees in Nepal. This work is an important part of the captive breeding program and it allows satellite tags to be secured on to the birds for monitoring purposes.